The John Lewis Partnership may be forced to take a £50 million hit to profits after enduring an epidemic of price cuts over the summer. The frenzied discounting was triggered by the collapse of rival House of Fraser – and by rival chains including Debenhams battling for customers. John Lewis, which also owns Waitrose, will reveal its financial performance this week in what is emerging as one of the worst years for retailers in decades. It said in June that profit for the six months to the end of July would be ‘close to zero’. But analyst Nick Bubb said they would be ‘lucky to scrape a profit’ at all after the tumultuous summer on the high street. He estimated the impact of discounting on profit margins in the half-year to July could amount to £20 million. He added price competition has worsened since the retailer last commented in June. Bubb warned that a warm autumn and the John Lewis promise to match prices at nearby stores could more than double the financial impact of heavy discounting as Christmas approaches. ‘An Indian Summer and House of Fraser stock clearance could easily lead to even more discounting damage and, for better or worse, they are totally wedded to their Never Knowingly Undersold promise,’ he said. Elsewhere, sports tycoon Mike Ashley has been battling to resurrect House of Fraser but at least a fifth of its stores could close. The profits slide at John Lewis is partly because the company plans to spend heavily on boosting its online capabilities. 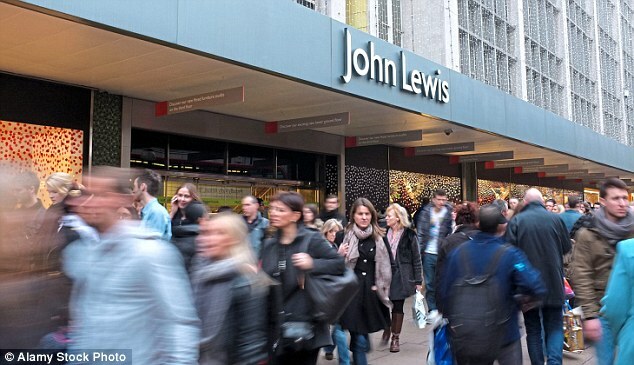 In another move, John Lewis is launching new ranges of own brand products which will limit the impact of its price promise because it will not have to match as many rival price cuts. The group has also rebranded both its John Lewis and Waitrose stores to highlight the company is owned by its employees through a trust.